Price : £72.54 VAT incl. 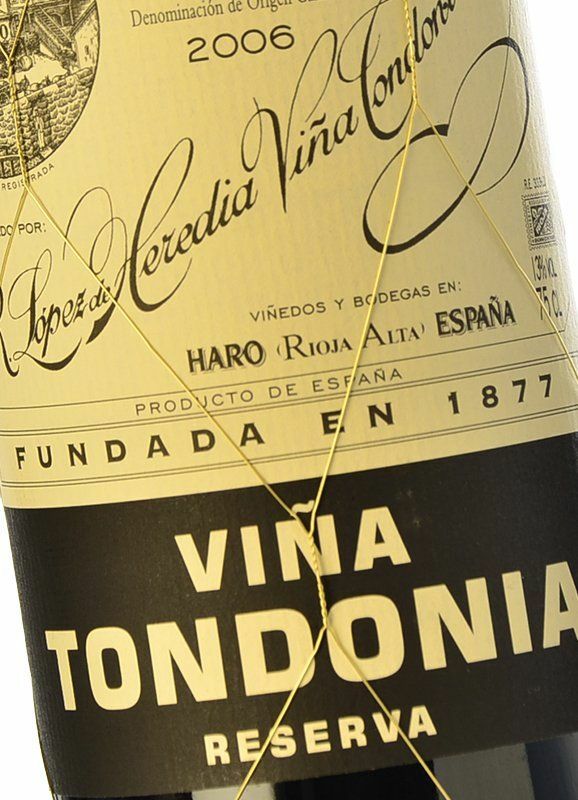 Few wines command such respect as those of Viña Tondonia. 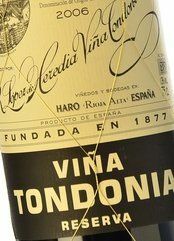 Opening a bottle of Viña Tondonia nowadays, especially one of their Grandes Reservas, has a touch of mystique. It’s like making a journey in slow time and in good company back into the past to enjoy the reality of the present; a similar feeling perhaps to what you feel on entering the labyrinth of their cellars, an amazingly impressive underground construction, and a perfect place for resting these wines replete with individuality and authenticity. 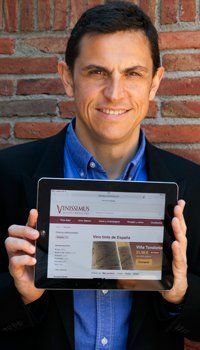 If Viña Tondonia wines have enjoyed and continue to enjoy great prestige, it is not through mere chance; they have known how to establish and maintain their good name by effort, dedication and perseverance, creating and keeping the winery within their family circle. But let us focus on the wine and without further ado open one of their Reservas. We can begin by asking ourselves: how many wines of this vintage can we still get hold of today, from Rioja or any other region? It is exceptional and demonstrates this house’s magnificence: only time and resting in the best conditions can ensure enjoyment of a great wine. That unhurried state, that slow evolution..., which makes us associate these ultra special wines with autumn and even winter; they inspire serenity, recollection, silence, as wines for reflection, with that touch of class. So let us indulge in a taste of luxury. We finally open the bottle and its past is soon confirmed by the ruby red colour, evolved but still intense, now tinged with brick-red on the rim. A fine wine which, when brought close to the nose, utterly charms us with its refinement and subtlety. It releases gentle aromas, of ripe fruit, fresh and extremely pleasant aromas, with no harsh notes; everything is perfectly combined; once again, this is a fine wine. It caresses the palate on entry, yet not a wine to be termed complex, nor having a huge amount of body. However, what it does offer is a wonderful experience: it is an elegant and refined wine, sinewy and fresh, enveloping and balanced. A classic with personality, a classic brimming with life. 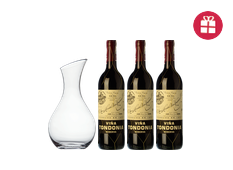 NOTE: Viña Tondonia was the house’s first brand name and intrinsically too the main vineyard - a beautiful vineyard covering more than 100 hectares, located on the right bank of the River Ebro, shaping the landscape with alluvial soils, limestone and black poplar trees, which the winery’s founder, Don Rafael López de Heredia y Landeta, planted in 1913-1914 out of a desire for quality assured, starting at the vineyard, where work is carried out manually. 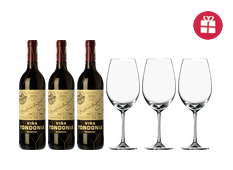 I was surprised to discover than the 2006 Tondonia Reserva Tinto was even better than the 2004 and 2005, which are supposed to be better vintages. As I write I am having the last sips of a bottle I had over tow days, and those sips have been the best. I am just sorry I din't keep some for tomorrow. It is more tannic than usual, despite being 13 years old, and still developing. I am sure that it will last at least another ten years if not more. Is complex, with dry strawberry, pomegranate, tamarind, orange peel, old mahogany and what I can only describe as... old books. I just hope I can have the Gran Reserva when it eventually come out. Splendid. Great wine. Very hard to find wine in such quality in such a small format. Drink good, not lot ! Price/Quality Top!!! Very Rioja! Very well made. For a typical Rioja Reserva You can't go wrong here. Loads of fruit, wood, not too much on the terciary side yet but already with some hints of leather. For the price it's awesome! Un vino a cui dare del lei. Un vino corposo per pietanze con carni rosse. Da degustare in occasioni speciali. Founded by Don Rafael López de Heredia y Landeta at the end of the 19th Century, R. López de Heredia Viña Tondonia is still today a single-family winery, where the four generations that took the helm have carried on the philosophy, working practices and social maxims introduced by the founder.